Town in the province of La Spezia, district of the municipality of Ameglia, Fiumaretta is located on the left bank of the river Magra just before Bocca di Magra. Its territory is included in the Regional Natural Park of Monte Marcello Magra and it features superb natural landscapes and an antique culture. It is a charming seaside resort characterized by fine sandy beaches, crystal water, the simultaneous presence of river and sea, and from a particular single exposure to winds. The ventilation is constant, the tide is low and the promontory of Caprione ensures protection from sea currents. This mixture of geographic and natural features is a major advantage for sport fans. 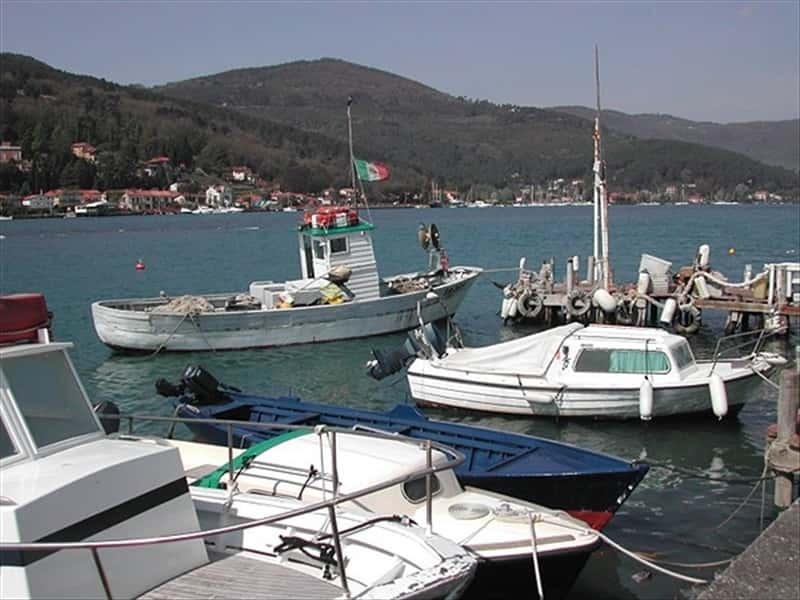 Sailing and windsurfing are ideal, canoeists can range their excursions from the mouth of the river to the small coves between Punta Corvo and Punta Bianca to discover hidden and unexplored areas. The origin of the town is relatively recent, the village was built in 1855 after the reclaim of the marshlands near the stream. In past centuries the area was the port city of Luni, that disappeared by the gradual silting of the grounds. The Urban structure was set in a very rational which is still visible in the oldest part of the center. The Parish Church of St. Isidore. The Oratory of Our Lady of the Assumption built in the XVIII century in Ameglia. The Church of San Vincenzo in the center of Ameglia. Dedicated to Saints Vincent and Anastasius, the church was rebuilt in 1932 on the ruins of an existing church that dates back to the XV century. The Castrum de Ameliae, the castle and the adjoining circular tower built in 1174. The structure has a rectangular shape and is protected by a trapezoidal shaped curtain wall. The pre-Roman necropolis in the village of Cafaggio. The Church of Saint Andrew the Apostle in the village of Bocca di Magra. This town web page has been visited 13,113 times.